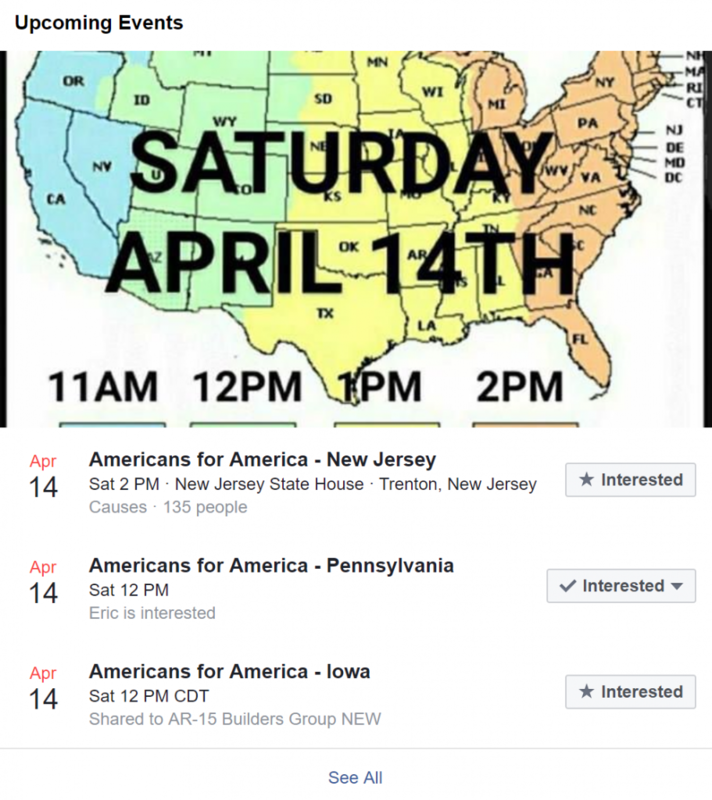 In response to the recent “March for Our Lives” a pro-Second Amendment group named the “The National Constitutional Coalition of Patriotic Americans” has scheduled Second Amendment/Pro-Gun rallies across the country on April 14th. Let's take a look at some of the details. Word of these gatherings was announced on The NCCPA's Facebook Page recently, stating that they will be gathering together pro-gun Americans to express their feelings on recent public displays and political actions targeting the second amendment. These rallies will take place in each of the 50 state capitals on the 14th. If you are interested in these rallies and would like to show your support of the Second Amendment, Mr. Clayton has organized times and places for each rally in each state capital on the NCCPA's Facebook page. Most of these rallies will take place at the states' capitol buildings themselves. Already several of the states have respondents in the 4 digits so it looks like there should be some real numbers for these get-togethers. Unfortunately, this takes place the same weekend as the USCCA's Concealed Carry Expo that most of our team will be attending. This is unfortunate because we cannot afford to have a poor turnout for anything we do, and the Expo will attract several thousands of people from across the country. If you are not already joining ConcealedCarry.com at the USCCA Expo from April 13th to April 15th, we highly recommend visiting the rally nearest to you as a show of support for your Second Amendment rights. There is strength in numbers, and it's about time we made our voices heard. Make sure to visit the NCCPA's Facebook page for further information and updates on the matter and let them know if you will be standing with them on April 14th! What do you think of these rallies? Will you be attending the one nearest to where you live? Let us know in the comments below. Where is there a rally near rochester MN? Is there one in southern oregon? North Carolina! Where in Raleigh? I will be there! It’s too bad there aren’t smaller gatherings across the states. Not everybody has the means or time to drive that far. I’m certain that many more would support this event, such as myself. Rj look up nccpa on Facebook. Find the chapter in your area. You may find someone close to you willing to give you a ride. I agree. Even gatherings or a Rally at your County’s Courthouse would be nice. After all, that’s where the “grass roots” of local legislators conduct their business. If every Rally where held at every County’s Courthouse, that would make an impression on all our local politicians and local law makers. Wish there were some close to NE MS. I know there would people from AL, MS and possibly TN. Where is rally near Cleveland Ohio ? Information on Ohio’s rally can be found here. Information on New York’s March can be found here. Is there one in nyc? Do you people know the Capital of the state you reside in? Capital! I wish it was where there would be a gathering at every courthouse! I believe there would be lots of people that would attend! Maybe one could be scheduled that way! How would we go about getting one scheduled! 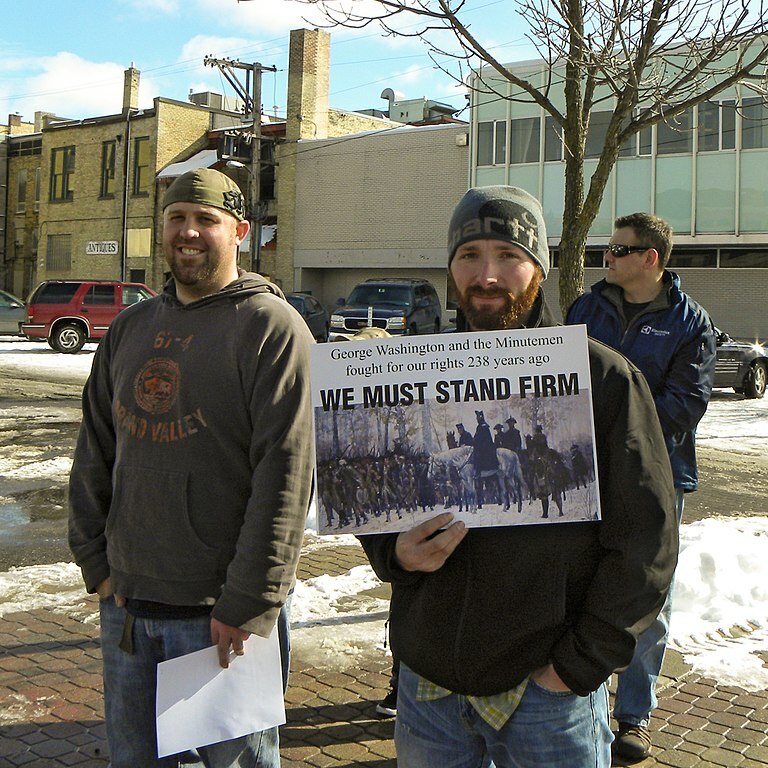 Organize one…that’s what we’re doing up in northern Michigan. There are a couple reasons why these rallies are not organized to happen at multiple courthouses throughout the state. The first is impact. It is much more impactful to have a couple thousand people at the state capitol than to have a couple hundred show up to each county’s courthouse, even if the overall number of people throughout the state is greater. Part of that is because driving to a location that is not local to you shows you care enough about the issue to make the sacrifice of time and expense to make it to that location. Part of it is because media will not be able to make it to all of the events. There will be several courthouses that only see coverage from their local media/newspaper, if that. The bigger media outlets are likely to only cover one or two of the rallies that happen in the major cities within the state. Second, attempting to find leadership to organize one statewide rally can be difficult enough for someone who is trying to organize a rally that happens on the same day nationwide. Attempting to find leadership for each and every county, get them all on the same page, get speakers for each event, sound, permits, and everything else that comes along with organizing rallies, can be close to impossible. This is especially the case in the short amount of time that these rallies were pulled together. We still have a few states that have nothing scheduled because we were not able to find someone willing to head up the rally in that state. To try to deal with that at a county level would be a nightmare. After further thought after reading this thread, I agree. It’s much more impressive to have thousands show up at your Capital than small crowds at local County Courthouses. After all, we are traveling on our own accord….NOT BEING BUSSED IN OR BEING COMPENSATED THROUGH PAY-OFFS to appear at a Rally. This will be genuine and NOT A STAGED event!!! We aren’t LIBTARDS!!! We’re PATRIOTS and believing in our freedoms and way of life!!!! In other words….WE ARE NORMAL FUNCTIONING SANE PEOPLE!!!! Information on that can be found here. Is there a rally being held in N California? If not how can we start one? I’m ready & from Iuka. Let’s do this! Why not have something in conjunction with USCCA’s Concealed Carry Expo, to support from that location? Attending the pro-2nd Amendment rally is more important than attending any other liberty minded event because the 2nd Amendment is under direct assault right now and all other rights will be lost if the 2nd Amendment is crushed!!! A pro gun expo is not as important as this event! We need to unite and show solidarity for our right to bear arms! Where is a rally being held at in missour. Info about each local rally is available at this page here. Hoping to find info for WA State and where, when in Olympia. I saw 5:30, somewhere on here, but also show up at 1:30. Need clarification. Already mssg’d many, using this post. Hope we can pull huge amount of people. Seattle and upper surrounding areas are liberal. Demo’s been running this state too long! The information about Washington’s rally can be found on this page. Maybe George Soros will bus us to the rally. Would love to attwnd but the state capital is 8 hours away. Why not habe them.in major cities. I live in Las Vegas and this would be a purfect place to have one. How come the clash with the Conceal-Carry Expo? Great question! Likely the organizer of the rally was unaware of the expo. The Tenn. Committee for the Bill of Rights has stood firmly for all these Rights since the Bicentennial Committee for the Bill of Rights was organized in 1991.What needs to be done is a Declaration of Intent to keep Arms without exception and this delivered to every law enforcement agent in the County effected. Where might rallies be expected in Tennessee? All of the rallies listed are available right here. Tennessee should be included on the page. Use this link to find the meeting place in your state. Am I correct in a summing that Boise Idaho’s is @12:pm in acordince with your time lines for my state on your map? Also is it still @ the capital building? I live in the greensboro nc area so where is there going to be s rally that is closest to me. I don’t have Facebook so o can’t check that way. Thanks for anyone that can help. It’s going to be in the state capitol. Wow, seems like nobody knows where to go. Thanks alot guys, I’d really like to go but my capitol is on the other end of the state, which is about an 8hour drive. Couldn’t hold one on the other end of the state too. What the hell. I agree, it’s really unorganized. We are trying our best to inform everyone, but it’s not our event. Thanks for understanding. i love this idea and want to participate once in Maine . how ever let us please please not leave the garbage that the liberals do take your signs and garbage with you when you leave . Don’t use Facebook and probably will never be using it. Sending simple email notices with locations and times and contact number or email address . Here in NYS we are under the thumb of Tzar Coumo in Albany who does not believe it the Constitution or legal citizens rights. Wishing the best to all who attend and can only hope the Constitution will survive. If anything should be abolished it should be the Democratic Party, not gun rights. We have a great event planned with a number of notable speakers. Thanks to all the individual working to organize this and thanks ConcealedCarry.Com for sharing! These are true GRASS ROOTS events … so all the support we can get is essential!!! Why Facebook? I don’t have this. Post it somewhere else. I do not use social media. We understand. We are not the ones responsible for putting this together, and the ones who are decided Facebook would be the best way to get the word out there. We are doing our best to keep up with all the comments and get the word out to people, but it is not our event. We are just trying to use our platform to get the word out there the best we can. It’s a shame the Wisconsin one is in Madison. That is the most liberal portion of the State, and attendees are likely to be sparse because of it. Also, out of curiosity, is there a reason we are supposed to rally for our 2A rights as posted by concealedcarry.com in a place where carrying a weapon is strictly prohibited? As far as I know, it is prohibited to possess a weapon, concealed or otherwise, on government property, such as the State Capitol building. If anyone has any light to she’d on the topic, I would be happy to hear it. I worry that people may be detained for practicing their rights in the “wrong place”. I will be going to the Richmond VA rally. I think its about time we made our voices heard. The Bill of Rights is non negotiable. After recent news you really want to depend on Facebook to organize and get the word out?? Never had Facebook, never will….. I do not do Facebook either. Where else can I get this info from? This is that line in the sand and should be no excuses if it means as much as that time we first recieved our 1st and 2nd amendment rights. People spend hours at Disneyland is this issue not more important? My travel to attend will be 7 hours. The best 7 hrs journey in my opinion because it’s important to me. I’m not a.nut case but I hear there are rumors of somthing being sprayed into the skies that are calming chemicals that lulls people to complacency. I’m not saying I believe it, but just in case pray for a clear mind and protection and try and reason the facts about any thing before responding or not responding. This issue needs our voices ,collectively, and peacefully yes. Together we can be a voice to be heard. This is another example of why there are often less of a turnout for things that “we” do versus things the other side does. We are interesting people doing interesting things, often using our God-given rights to do so. You can’t be in two places at one time. But those folks are always available to protest things, or march, or carry signs, because they must not have a job, or a hobby, or anything worth protecting. Yet why would someone with such a one-dimensional sad life think that they should tell us what to do? Or not to do? To USCCA: enjoy the Expo and thank you for doing this, and for sreading this info as well! The rally in Ohio will be supported by dozens of carpoolers, and at least one post I saw said there will be a few buses to and from. Facebook is the main place to get info. The next rallies will hopefully not be advertised on social media only. Illinois capital is 3 1/2 hours away but I’m going.Just hope I see lots of supporters there.This is important. I hate to tell you all but Farsebook is not your friend. How does one find out about a rally if they don’t bow to Zukerberg and the NSA???? You lost me at “Facebook”. Why do I have to visit the enemy’s site to learn about an event to defeat the enemy? No thanks, maybe next time the event organizer will be more serious, but this must be a fricken joke.